林焰, 叶超, 王春雷, 等. 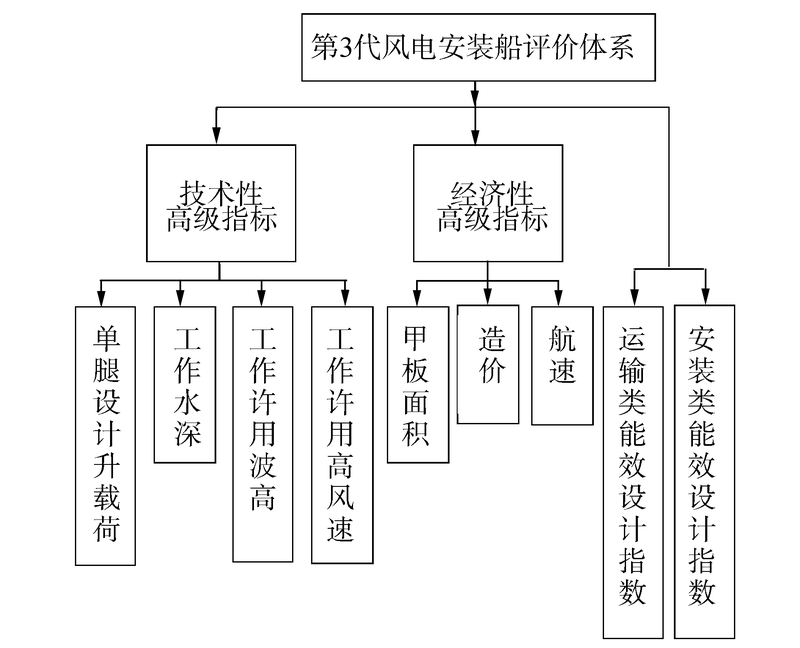 第3代风电安装船的综合评价体系[J]. 哈尔滨工程大学学报, 2019, 40(4), 670-675. DOI: 10.11990/jheu.201704097. LIN Yan, YE Chao, WANG Chunlei, et al. 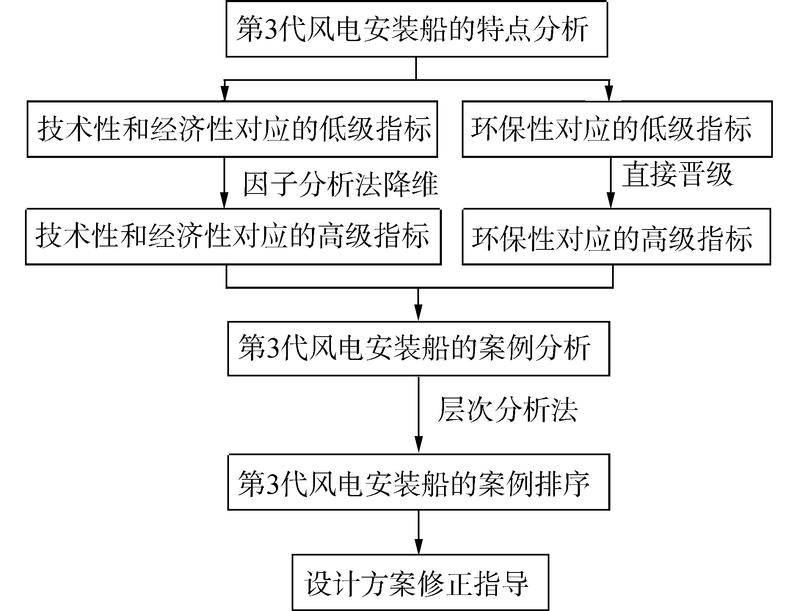 Evaluation index system of the third generation wind turbine installation vessel[J]. Journal of Harbin Engineering University, 2019, 40(4), 670-675. DOI: 10.11990/jheu.201704097. Abstract: This paper presents an evaluation index system to improve the comprehensive performance of the third-generation (3G) wind turbine installation vessel and obtain a clear direction for corresponding design optimization.Evaluation indexes are of three types, which can be divided into three classes (technology, economy, and environment) and two levels (senior and junior indexes).The main process is as follows:first, junior indexes are based on the characteristics of the 3G wind turbine installation vessel, and second, several junior indexes are transformed into senior indexes by factor analysis to reduce disturbance of subjective evaluation.Furthermore, the design schemes of the vessels are sorted and evaluated by analytic hierarchy process.The sequence result of all design schemes can be derived by analyzing the design scheme of the 3G wind turbine installation vessel so that guidance can be provided on amending the schemes.In other words, the evaluation index system can determine the key parameters that affect the design schemes, thereby effectively guiding the design of the 3G wind turbine installation vessel. 刘志杰, 刘晓宇, 孙德平, 等. 海上风电安装技术及装备发展现状分析[J]. 船舶工程, 2015, 37(7): 1-4. 王运龙, 申陶, 王晨, 等. 自升式钻井平台能效设计指数[J]. 上海交通大学学报, 2013, 47(6): 900-903, 908. 辛督强, 韩国秀. 因子分析法在科技期刊综合评价中的应用[J]. 数理统计与管理, 2014, 33(1): 116-121. 姚震球, 唐文献, 马宝, 等. 海上风电安装船关键部位结构强度研究[J]. 中国造船, 2012, 53(2): 79-87. 林焰, 陈明, 王运龙, 等. 船舶设计原理[M]. 4版. 大连: 大连理工大学出版社, 2016: 88-100. 王运龙, 陈明, 纪卓尚, 等. 自升式海洋钻井平台方案评价指标体系及评价方法[J]. 上海交通大学学报, 2007, 41(9): 1445-1448, 1453. 林焰, 叶超, 董强, 等.高装载量、多工况、环保型风电安装船及其工作方法: 中国, 201610208452.8[P]. 2016-06-15.